I love an historic cemetery. My parents are buried in one. Here are some of my favorites. Not only are we unsure about where Jesus was buried (there are at least two options) but worshiping the cemetery can kill one of Jesus’ congregations. Are there more members of The Cemetery Committee than the Board of Elders? Do we spend more money on irrigating the cemetery than we spend on Christian education? When someone asks, “What excites you about your church’s ministry?” do people say, “We have a beautiful cemetery“? Do church leaders spend more than 15 minutes per year discussing cemetery needs? Has there ever been a church fight about the cemetery? Just as people die and are buried in cemeteries, whole congregations can also die and find themselves buried in their cemetery. Remember when angels asked the women at Jesus’ grave why they were looking for the living among the dead? It will offer a clue about whether your church is more in love with the living God or with death. Image of Thyatira Presbyterian Church Cemetery in Rowan County, NC where three pirates are buried. The story goes that they had left their pirate lifestyle on the N.C. coast and became farmers in the middle of the state, only to be discovered and subsequently hanged. Good article Jan. Curious to know if YOU know how many churches have their own cemeteries. Hi Christine – I don’t know. 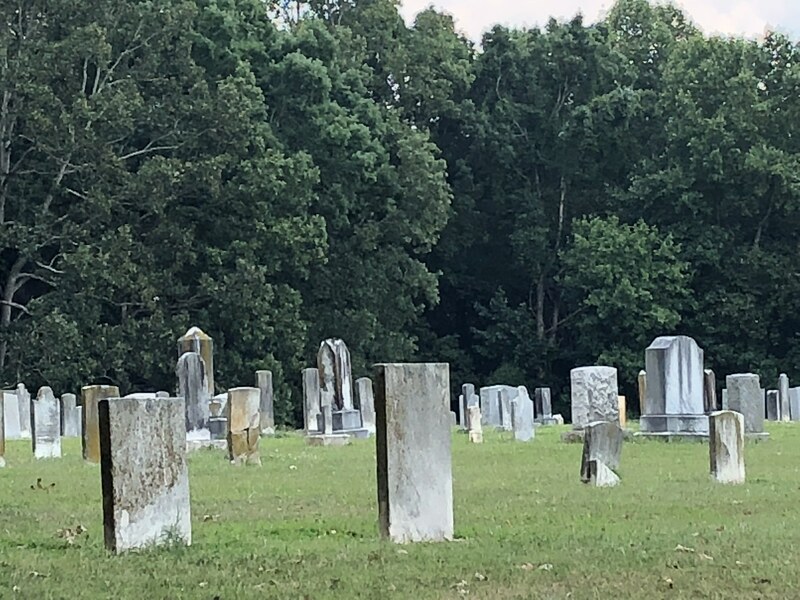 Most of our rural congregations (or congregations that used to be rural) have cemeteries here in Charlotte Presbytery. Not so much in Chicago Presbytery or National Capital.